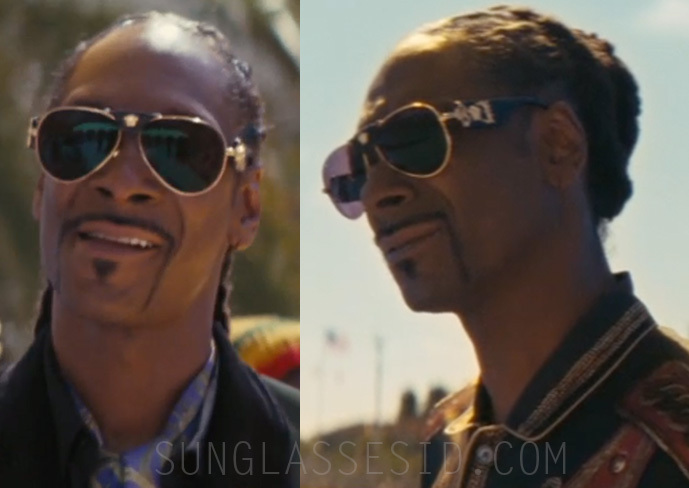 Snoop Dogg wears several sunglasses in The Beach Bum (2019), including these black and gold Versace Medusa VE2150Q C62 sunglasses. The Versace Medusa VE2150Q C62 Leather-Wrap Aviator Sunglasses have a leather cover with gold Versace logo on the nose bridge, and gold decorations on the side of the black arms. Find these glasses online at Amazon for $135 - $285.